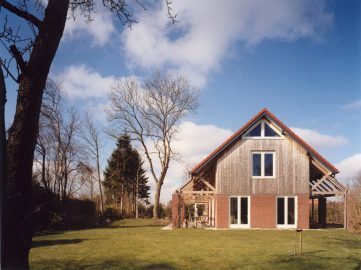 Along the Kanaaldijk, in the outlying area of Giethoorn, a characteristic new house has been developed. 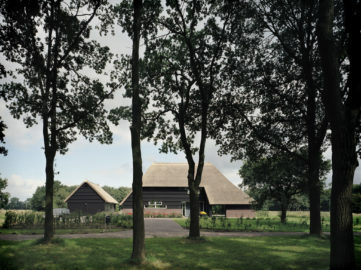 After the original farm on this property burned down after a lightning strike, B+O Architecten made a design for a new house and outbuilding in a very short period. The newly built house stands out thanks to the dominant roof that lies over the house like a blanket. 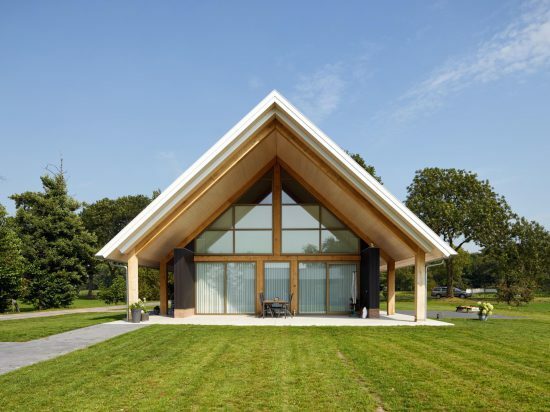 The large overhangs on either sides provide a spacious, covered outside area. 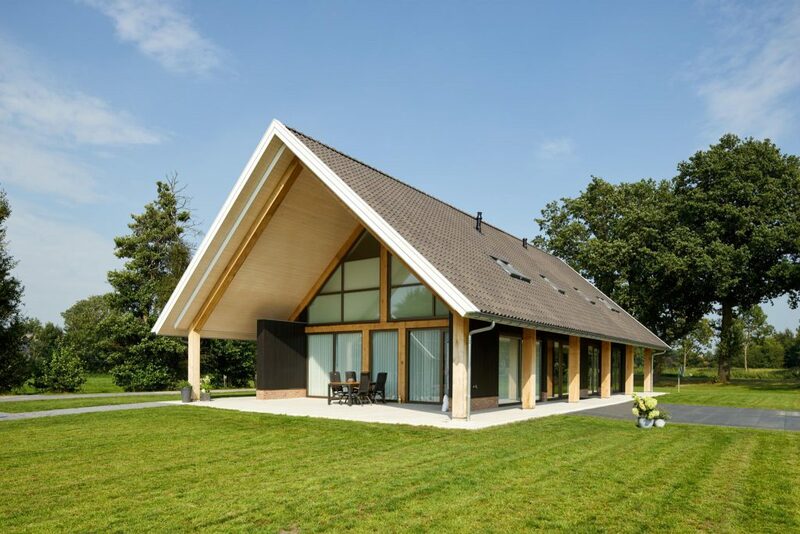 The robust roof is supported by unprocessed solid oak columns. 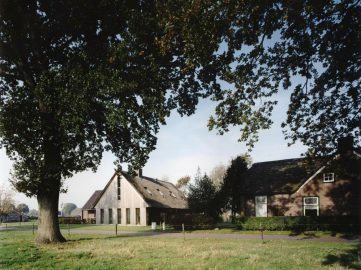 On the canal side, the building has a black-stained façade, and at the rear there is a panoramic view of the green polder landscape through the glass façade. 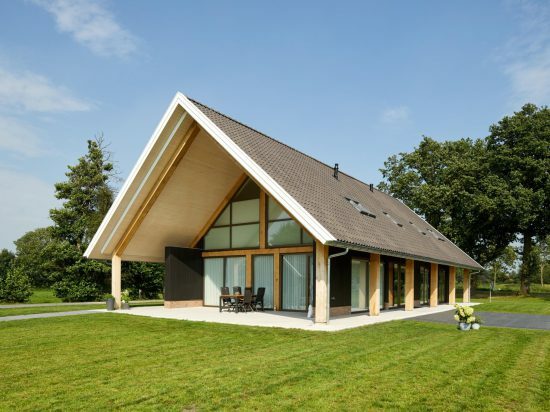 The outbuilding was designed in the same style and with the same materials as the house. In addition to unworked solid oak wood, dull-grey roof tiles, black-stained façade cladding and a plinth of masonry have been used. The eye-catching house is a powerful presence on the plot. 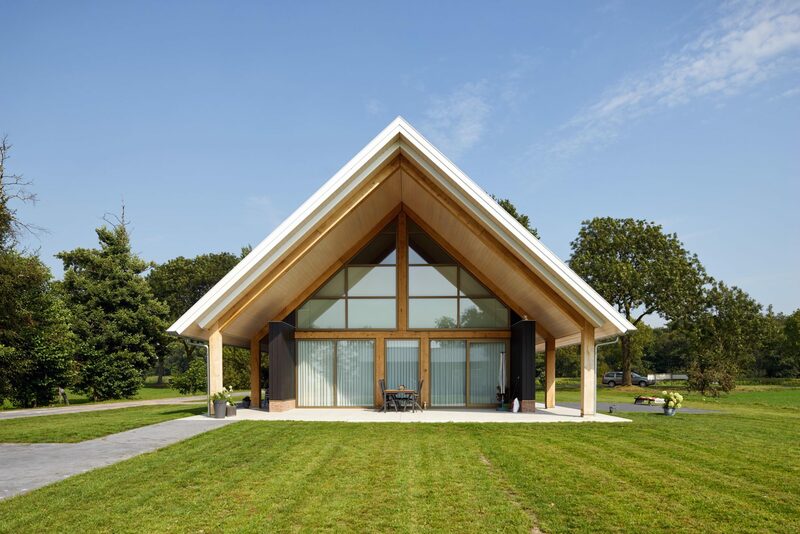 Thanks to its rural appearance, the house is a valuable addition to its green environment and fits within the cultivation culture of the landscape.